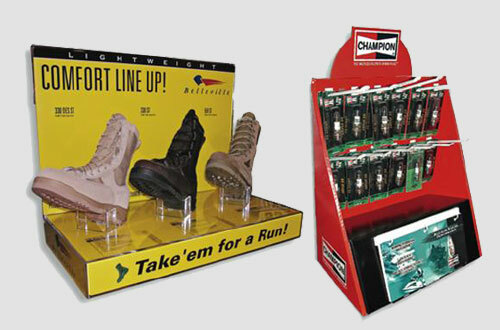 Riverdale works along side with our customers to create innovative retail packaging and product display solutions that communicate their strategic brand message. We can help create powerful retail point-of-purchase, promotional displays and retail packaging designs that effectively protect, store, transport, display and sell products. Attractive displays enhance the appeal of a product, our designers create retail marketing displays that enable customers to display products in the retail world. With extensive print and manufacturing options, multiple color direct print, top sheet and mounted lithographic label, the opportunities to define a brand and secure it’s place in the market are endless.